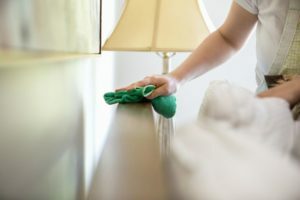 There are some mistakes a lot of people make when doing their everyday cleaning chores. Read the instructions below on how to prevent from repeating them. 1. Clean your windows when they are not exposed to direct sunlight. Window cleaners dry much faster in direct sunlight and your windows will be all in streaks. 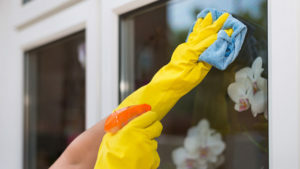 You better clean your windows early in the morning or in the late afternoon, or when the weather is cloudy. Use squeegee instead of microfiber or cloth. It covers more and dries faster. 2. When you wipe, spray the cleaning detergent on the cloth, not directly to the surface. It is written even on the package. Direct spraying is recommended in cases when the surface has a spot or stain which is more stubborn. For daily use spray cleanser on the cloth or mix it with water. Before you use it directly, try on hidden place to check if it is appropriate for the surface. It may leave some residue or marks. 3. 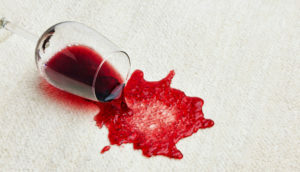 Rubbing liquid stains on a carpet.You should rather blot the wet area. Use a dry towel and soak up the liquid. After that put sparkling water or ice water and soak up with a dry towel. Don’t use the same towel for both steps. Put as much as possible pressure to remove the stain. Your job is done when the towel is completely clean. Then you can stop. In case the stain is still there, use stain removal. 4. Not cleaning your sponge. The porous structure of a moist sponge is a great environment for bacteria. Thinking that you can clean it only with dishwashing detergent and water is nonsense. You need to wash it in the dishwasher or dry it in the microwave at least once a week. If you use it more often, you can do it every day. 5. Not using gloves when cleaning with detergents. 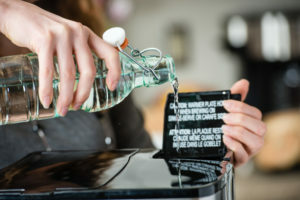 Even homemade detergents can dry your hands, especially if you use vinegar based mixtures. Hands skin absorbs substances very fast. Use gloves with cotton interior if possible. Latex or chalky rubber are also a variant even not so good. 6. 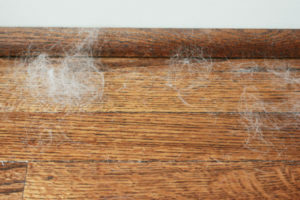 Cleaning pet fur with vacuum cleaner without attachment or prep work.To ease this cleaning chore, After Tenancy Cleaning London strongly advises to broom the floor before vacuuming. Fur flies from every air movement and the chances to fly from the air stream made of the vacuum cleaner in the cleaned areas is almost 100% For better results, use appropriate attachment to collect what’s left. 7. Leaving wet toilet brush in the holder. Bacteria reproduce faster in moist places. Leave the brush somewhere while it’s dry. You can put it between the toilet base and the seat or somewhere else where it won’t be obstructing you. Put it back in the holder when it’s completely dry. 8. Putting kitchen utensils in the same direction in the dishwasher. 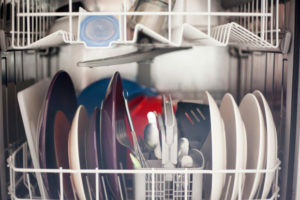 It will be better if you put some up and some down so they will point in different directions and there will be more space between them which will provide easier access to water and therefore a better washing. 9. 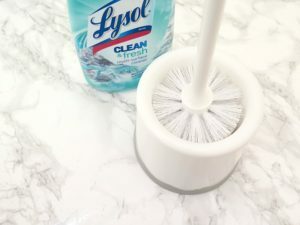 Clean regularly your handles and door knobs.They are used all the time and we totally forget them when we start doing our cleaning chores. For this reason, they are full of germs which breed in a perfect environment. 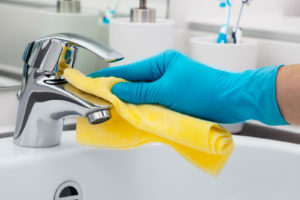 Clean handles, doorknobs, taps and switches regularly with a disinfectant. 10. Not cleaning removable parts of your kitchen appliances– blender, coffee maker, chopper, microwave, and so on. Some of them must be cleaned thoroughly after every use (blender, chopper, coffee maker), and some of them at least once a week (microwave). It brings to light and reminds me not to forget these simple things and to stop the spread of bacteria in the home. I’ve started putting my sponge in the dishwasher every night !!! I’ve started putting my sponge in the dishwasher every night.It brings to light and reminds me not to forget these simple things and to stop the spread of bacteria in the home.